Most days my email box is filled with mundane things like the weeks’ egg washing schedule and updates from my writing/marketing clients. And other days, you open a message inviting you to be a William J. Clinton Distinguished Guest Lecturer at his School of Public Service in Little Rock to talk agricultural economics at the Clinton Presidential Center. I read the email. Then I re-read the email. What gets me really excited is this will be an opportunity to get all geeky wonky. 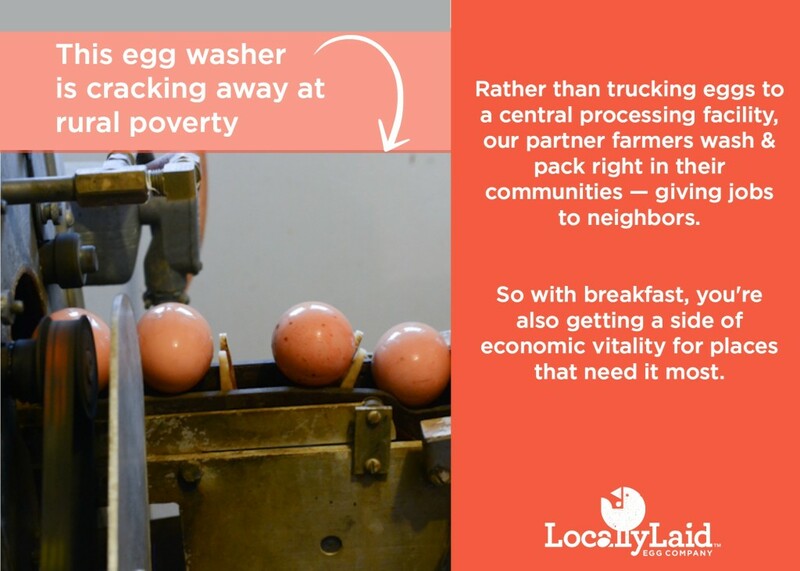 When I speak, I always brush on the positive social & economic impact of Locally Laid’s model – in between stories of our pratfall into agricultural and farm startup horror story. But to be asked to talk about the stressed agricultural segment of Middle Agriculture has me swoon-y. In our industry, size matters. 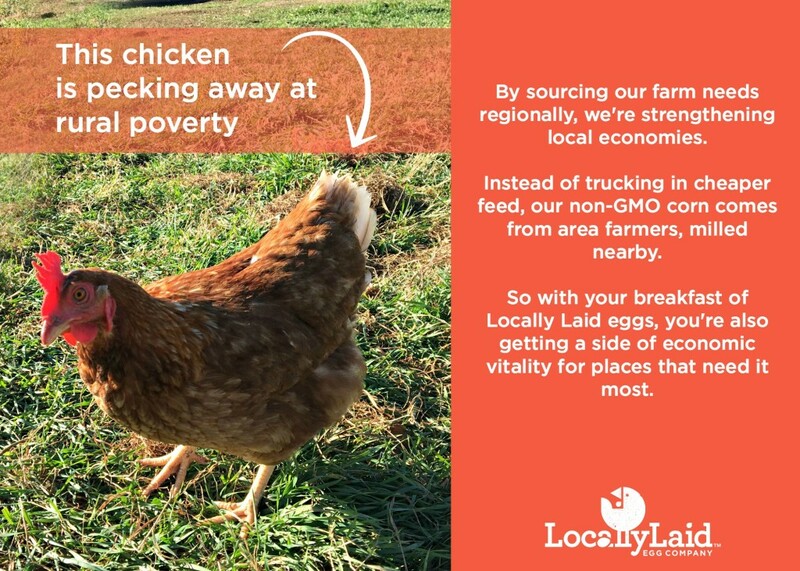 Locally Laid is made up of 7 mid-sized farms, and we’re practically an endangered species with huge vertically integrated agribusiness taking over the industry. Between 1997 and 2012 the number of these not-too-big, not-too-small types of operations declined by 18 percent. When mid-sized operations go away, it doesn’t just affect one family, it dings all the regional Ag industry, like grain mills, feed stores, processing plants, and farm jobs.This matters for a lot of reasons, but especially to the ten million Americans living in rural poverty. That’s nearly one-quarter of the nation’s impoverished. Buying local is all the rage — which is great. But when a company sources, processes and sells within a region one call see a swirl of economic activity with tangible, material results. One of our partner farmers was able to BUY the land he’d rented for years, partially based on his Locally Laid contract. This will have a generational difference in his family and community. 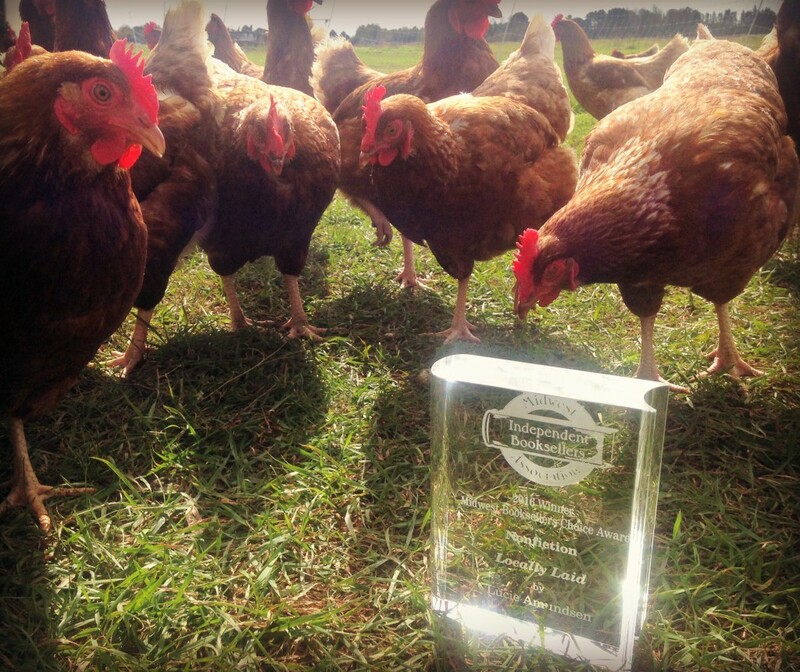 The thought gives me goosebumps and can make me a wee weepy — and just reinforces the unexpected power of poultry. You can vote for Locally Laid – the book for the GoodReads Choice Awards here.